KathodeRay provides essential marketing support to a nationwide network of notable full-arch implant dentists. Since becoming our client in late 2016, the Teeth Tomorrow® Network has grown to over 50 locations across the US - each owned by an Advanced Implant Dental practice in an exclusive territory. 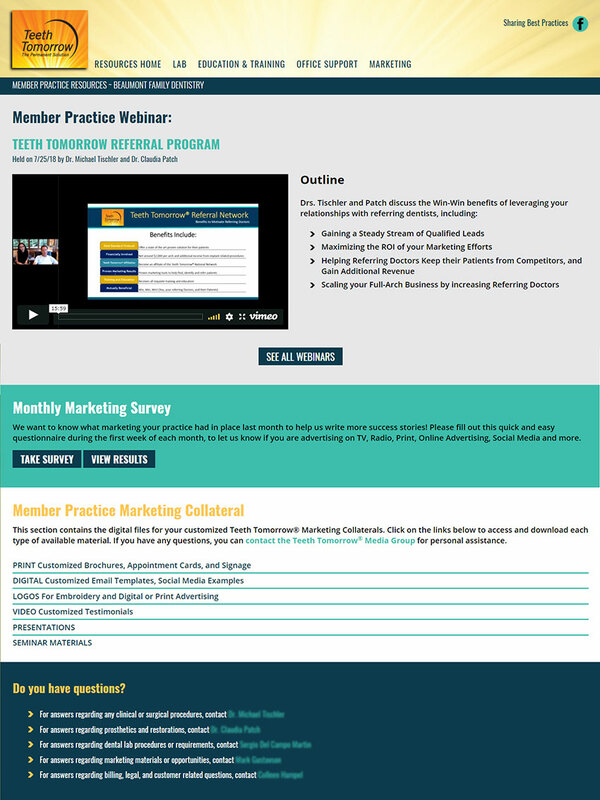 KathodeRay leads the Teeth Tomorrow® Media Group, creating customized websites for each Member Practice and producing traditional and digital marketing materials specific to each territory. We are the guardians of the National Brand, and all associated messaging - attracting new patients seeking a permanent solution to their missing and failing teeth. The gated portal provides Network Members with informational webinars, procedures, marketing collateral and other critical information. 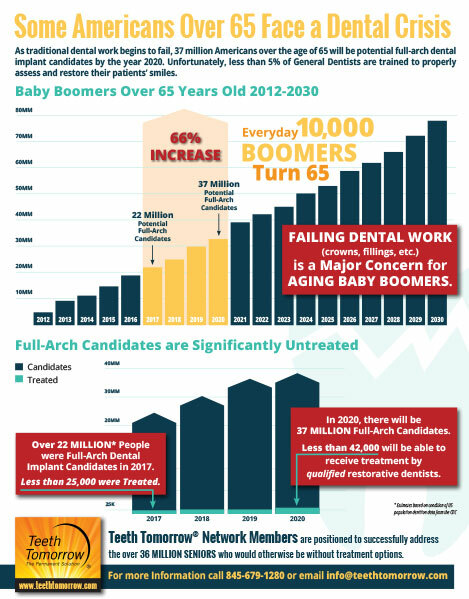 Info-graphic visually explains the opportunity for full arch implants. 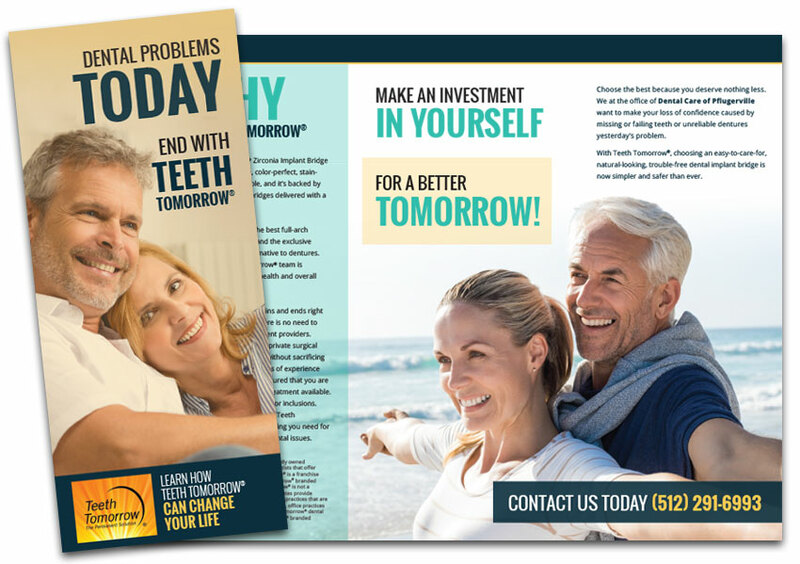 Brochures and other collateral materials are supplied to each Network Member for in-practice promotion.